The rooms provided by the Inn@Silicon Valley have been decorated and designed in neutral colors. This color code is further complemented by the interior decor and design. 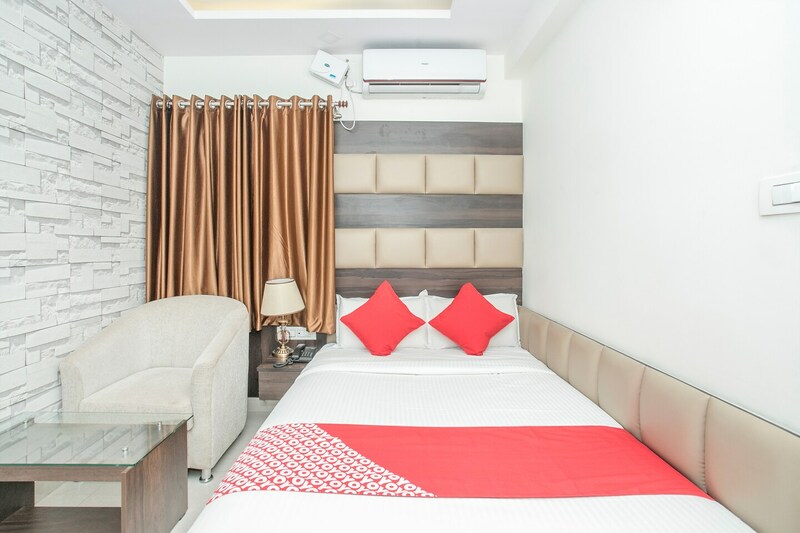 All rooms are well-furnished and the wise use of artificial lights in the room, as well as the false ceiling, makes the rooms well-lit. The rooms are very spacious and have been provided with large windows. Long and thick curtains add elegance to the space. The extra facilities provided by the hotel are free Wifi, a common kitchen area, power backup installations, parking provisions, a mini fridge in each room, card payment in all forms, an elevator facility, laundry provisions, and CCTV cameras. The in-house facilities include a common dining area, a bar, a conference room, a banquet hall, and a restaurant.